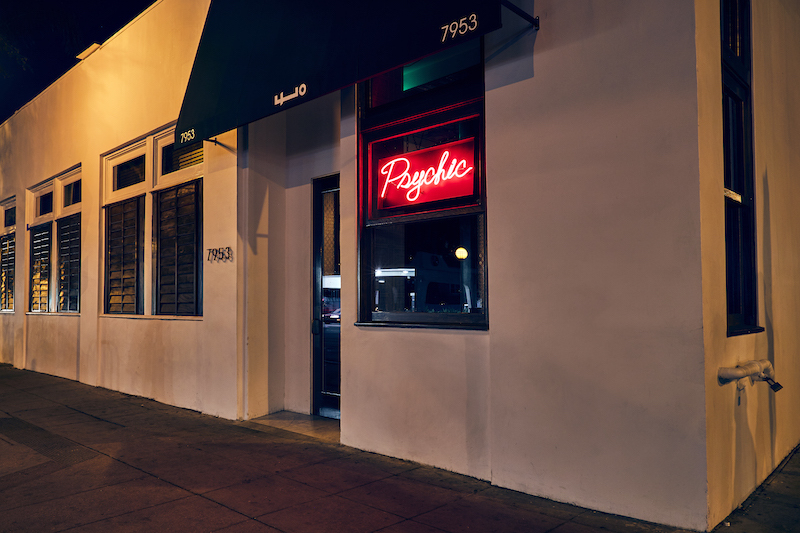 At first glance, it’s just an unremarkable white building on Santa Monica Boulevard with a sign that reads “psychic” in red neon. In a city like Los Angeles, where you’ve got one of those on any given corner, it’s easy to walk by without a second thought. 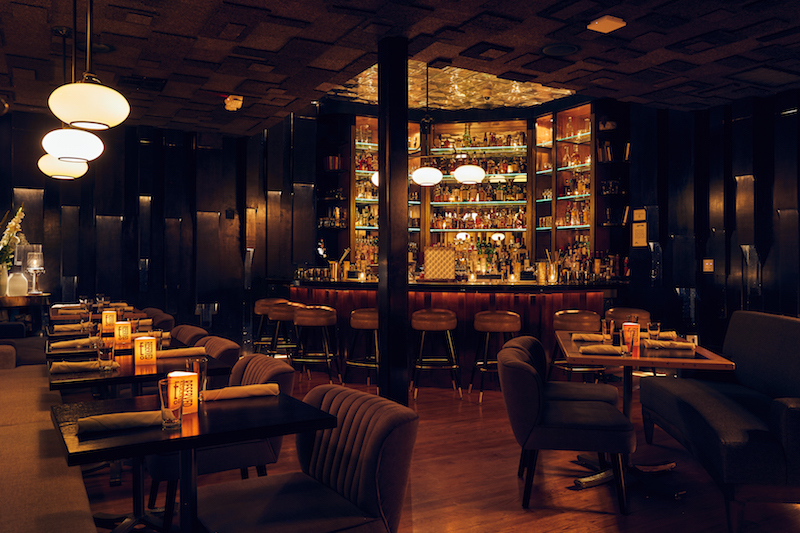 This one, however, is but a front for Employees Only, a much-lauded New York-based speakeasy that expanded to West Hollywood this spring. Well, if you’re here, you probably want to taste the drinks that earned Employees Only the title of World’s Best Cocktail Bar from Tales of the Cocktail in 2011, among other accolades. 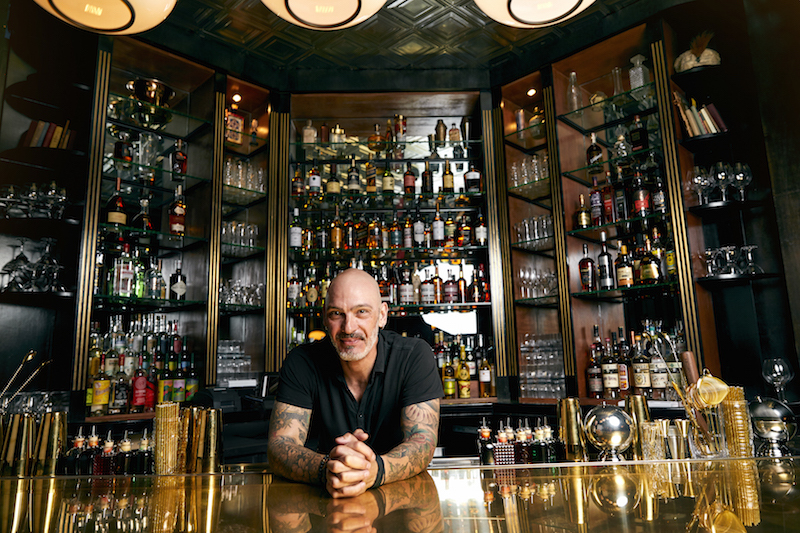 But if you stick around for a while, you’ll realize it’s a bartender’s bar, where interesting conversations among industry locals can’t help but be overheard. There’s the guest who tells Employees Only co-founder Dushan Zaric that he’s tried the so-called world’s best martini at Dukes in London and wasn’t impressed. Zaric, you might learn, makes one with gin, chilled dry French vermouth, and filtered cold water to keep the temperature low. Zaric later explains how he stirs it “for a few seconds, just to agitate the ingredients and bring them to life, to impart my energy into it.” And, he stresses, the olives should always have a pit. Then, there are the three off-duty bartenders who want Zaric to make them cocktails based on ambiguous criteria like a spirt paired with an idea; he’s more than happy to oblige. 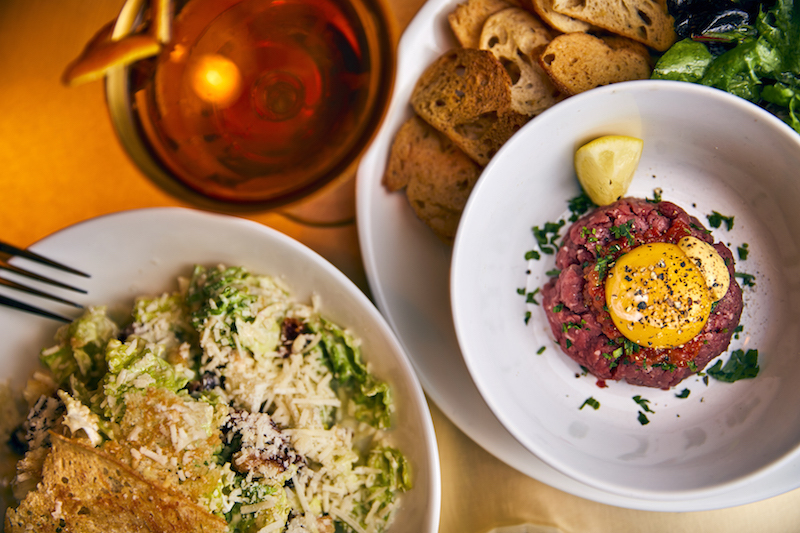 Meanwhile, you might find yourself sharing a plate of steak tartare—the egg yolk lovingly whisked in bar-side—with a drag queen you’ve only just met who works at a bar down the street. There’s a level of hospitality and camaraderie in a bar like this that you won’t always find at all the other secret-door-mixology bars around these parts. Since opening in 2004, Employees Only has also expanded to Singapore, Hong Kong, and Miami. In West Hollywood, it takes over the space formerly occupied by Baby Blues BBQ, which shut down in 2017 after over a decade of brisket. It’s a much larger space than New York’s, and offers a menu comprised of both East Coast imports and West Coast originals. That’s true when it comes to both the cocktails and the food. There’s the aforementioned steak tartare and bone marrow poppers via NYC, and the L.A. specific pan-roasted halibut or wood-fired pork shoulder chop. That wood-fired oven also turns out a variety of Neapolitan-style pizzas. The menu, which is described by Zaric as American bistro fare with “immigrant influences,” is helmed by Chef Sascha Lyon (Commerson, Balthazar). Zaric himself is an immigrant, moving to the U.S. from the former Yugoslavia in the ’90s and from New York to Los Angeles five years ago. Lyon’s family traveled Europe extensively in his youth, as his father was a producer on Ripley’s Believe It or Not; he also spent a year of his childhood in Paris. Zaric said he thinks of food and drink as inherently complementing one another; “I’m European!,” he explains. Thus, the cocktail menu was crafted with the food in mind. Some solid options might include what Zaric has named the Hope Monkey. It’s made with Spanish gin, infused with hand-bruised kaffir lime leaves, house-made clarified lime juice and simple syrup, shaken and served up with a rinse of absinthe bitters. It’s an easy cocktail for sipping before a meal, and Zaric’s got a whole story behind the name. The Hope Monkey is the voice in your head that suggests perhaps you can get back together with your ex, should they happen to text or call you. This ties back into another one of Zaric’s hospitality philosophies: to always remember that everyone has a broken heart and to treat them all with the same kindness. The drink names only get more esoteric from there. The Infinity Cocktail, for example, is made with Japanese whiskey, Salers Gentiane Aperitif, lemon and aquafaba made in-house with organic chickpeas. It’s topped with a stencil of the infinity symbol, made with Lapsang souchong tea. But, why? Of course one doesn’t have to order an introspective cocktail. You’re free to try something simpler, and they’ve also got a seasonal selection of beer and wine. Zaric himself mentions beer bars at being among his favorite places in to drink in L.A. when he’s not at work. Or you can make a reservation for Henry’s Room, a second bar nested inside the first and named for Employees Only co-founder Henry Lafarge. Drinks here are inspired by New Orleans, where Lafarge grew up. Those who ask for bartender’s choice will literally spin a wheel and let chance determine their spirit. And come summertime, Zaric expects they’ll have psychics on hand—as they do in other Employees Only locations—available for readings, making the neon sign more than just a sly front. Employees Only is located at 7953 Santa Monica Blvd, West Hollywood, CA. Open 6 p.m. to 2 a.m. nightly.